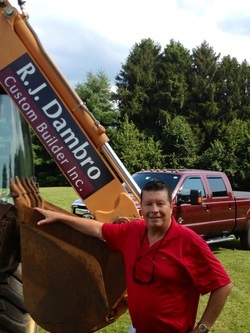 Rocco began his successful building career 30 years ago as a 3rd generation builder. He has worked as an experienced carpenter and building manager developing long-term relationships with local subcontractors, ensuring that the combined efforts of a knowledgeable team incoporate quality and distinction into every custom home. through the steps in your home’s construction. Rocco encourages homeowners to offer suggestions and make important decisions. Rest assured that he will be at your side throughout the entire building process and beyond.